Yesterday was Natalia's day off so we went out for lunch and dinner. We decided to try the Hacienda de Cortez for lunch and it was delightful. 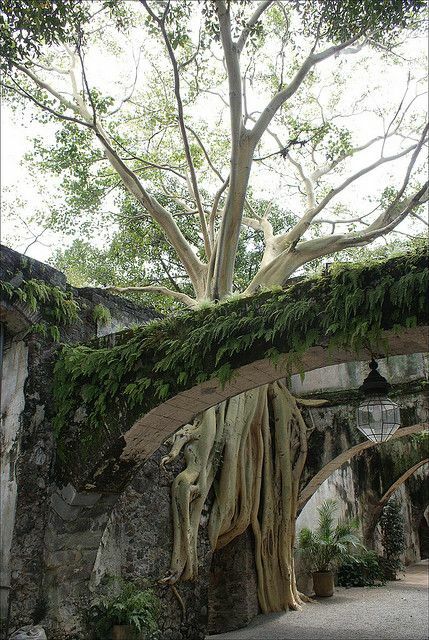 The Hacienda was built in the early 1500's, and we sat in the dining room where a centuries-old tree had wrapped its roots around a concrete column. 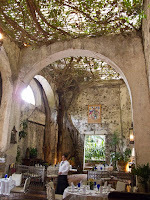 The hacienda is now an Inn and Spa and is known for its elaborate weddings surrounded by beautiful gardens. 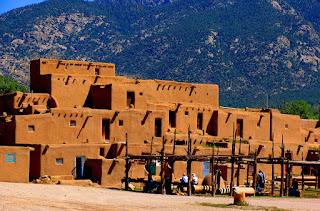 I looked up to find "what is the oldest building in the USA" and discovered there is a pueblo village in Taos, New Mexico that dates back to c. 1000AD - and it's still in use!! 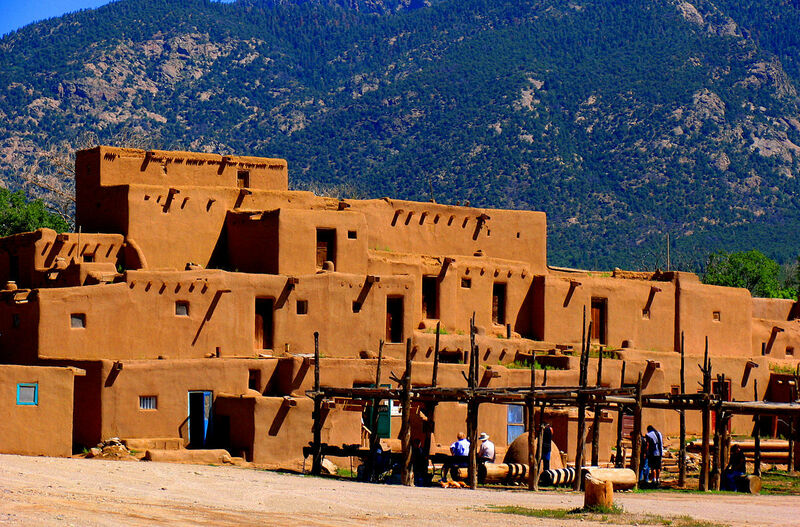 More recently, there is the Santa Fe Mission in New Mexico dating to 1610. 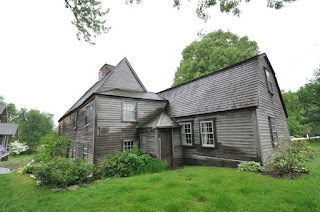 Okay- now on to another discussion that I will broach, but it needs much more time and input and I'm sure, over the weeks to come, it will come up again. The only American news we can get here in Mexico, believe it or not, is Fox News which we listen to in the morning over coffee before breakfast to make sure the USA is still there. Yesterday there was this very attractive woman (Fox News always has "very attractive women") who was ranting and raving. Apoplectic would be an apt adjective. "The Democrats don't know what they're talking about; they have their heads in dark places. SOCIALISM is the most destructive, evil system of government that would destroy everything good in this country. Look at Venezuela- it is a failed Socialist State- Venezuela is where the Democrats want to take the United States. We cannot let them do that. It will be the end of all we've worked for." I'm sure I am not quoting her directly, but the tone is accurate. This prompted me to try to find out more about socialism. Recent studies investigating the "happiness quotient" of a country conclude that most of the Scandinavian countries win out with Denmark at the top. I think of these countries as socialistic. They have very high taxes, but education and health care are free and life seems pretty good. So what is Socialism? I think many people think of socialism as a system that re-distributes the wealth resulting in equality between classes. In my mind, this is Communism - where the government takes everything into their hands and there is but one social class. Doctors and ditch diggers get paid the same. Socialism, I thought, was a re-distribution of wealth whereby no member of the society was destitute. In my perfect world, the weakest members of American society have food, shelter, and health care. some of that excess wealth be shared in order to help those on the bottom. Well I don't believe that anyone in this country is advocating that the government take ownership of the production and distribution of goods. Don't we all want free-enterprise and a well run capitalistic economy? Krugman goes on to say, "What Americans who support “socialism” actually want is what the rest of the world calls social democracy: A market economy, but with extreme hardship limited by a strong social safety net and extreme inequality limited by progressive taxation. They want us to look like Denmark or Norway, not Venezuela." While researching this topic I was directed to an official White House Page entitled, The Opportunity costs of Socialism. I found it so interesting that on the first page of this report they are quoting Margaret Thatcher, the then–prime minister of the United Kingdom, as arguing, “Socialist governments . . . always run out of other people's money,” and thus the way to prosperity is for the state to give “the people more choice to spend their own money in their own way.” The link to this White House study is also found below. The Wall Street Journal Article highlights five areas that the author calls the Democratic Agenda which he claims is a pure socialistic agenda. These five areas are: Medicare for All, The Green New Deal, Guaranteed Government job for all, New System for Corporate Control, and Vastly Higher Taxes. In reading that article, I was struck by how each agenda item is failing in its present form: our health care system is a mess, Global Warming is a huge threat, Technology taking the place of labor is looming, Corporations are replacing small farms and bookstores, and the Federal deficit has reached a trillion dollars. It's a good thing our politicians are looking into these areas- we need reform. Krugman ends his article by saying, "...we should never discount the power of dishonesty. Right-wing media will portray whomever the Democrats nominate for president as the second coming of Leon Trotsky, and millions of people will believe them. Let’s just hope that the rest of the media report the clean little secret of American socialism, which is that it isn’t radical at all. To read the full Paul Krugman NYTimes article click HERE. To read the Official White House report on Socialism click HERE. I’m fascinated by all the subjects you bring up in this blog (be sure to keep us posted on the new men’s underwear design!) but I think what interests me most at the moment is the subject of socialism. Krugman’s point about no one in America really understanding the term and almost everyone defining it differently is crucial and one of the reasons I wish it had never been used to define the Democratic Party. I worry that because of the inflammatory words that will be used in the 2020 presidential campaign to discredit ideas like Medicare for all, income safety nets, free college education for qualified low income kids, etc., words like “socialism,” “communism,” “Venezuela,” etc., ther will never be a considered conversation about the real benefit of any of these ideas. 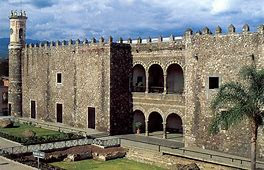 What you are doing in Cuernavaca with your reasoned, calm and informative discourse needs to happen across the country. But it won’t. People are too entrenched in their specific tribes and seem completely unwilling to even talk about a different way, except to vilify it. Perhaps there will be a glimmer of hope in what may happen in El Paso tonight. The president is holding a rally there but both the Republican mayor and Beto O’Rourke will be there as well to show how Americans and Mexicans go back and forth across the border to the enrichment of both. I’m sending this anonymously because I don’t have a Google account, but I’m Carol, and very proud to be Nancy’s sister!